As the days go by, we are finally starting to see reasonably-priced wireless speakers with Google Cast built right in. While there are plenty of speakers to use a standard Chromecast Audio dongle with, a speaker with this function built in is a much more interesting experience. I have a Bose Soundlink Mini and love the speaker. Bluetooth has it’s limits; connectivity is iffy and sound quality is good, not great. The speaker’s portibilty and fantastic sound is second to none. I love being able to snag it and have music anywhere. Now that I’ve owned a Chromecast Audio for a few months, I’ve had it plugged into my Bose since the day I bought it and absolutely love the cast function and sound quality that only a Wifi connection can provide. It is brilliant. However, the Chromecast Audio dongle needs power and connection, both requiring wires. Kinda kills the wireless vibe a bit. Up until now, there haven’t been a ton of wireless speakers with Google Cast built in. And the ones that did have it equipped were grossly overpriced. Sony has brought the h.ear go to market in the $199 range and comes equipped with high quality audio playback, 12 hours of battery life, and the all-important addition of Google Cast support. 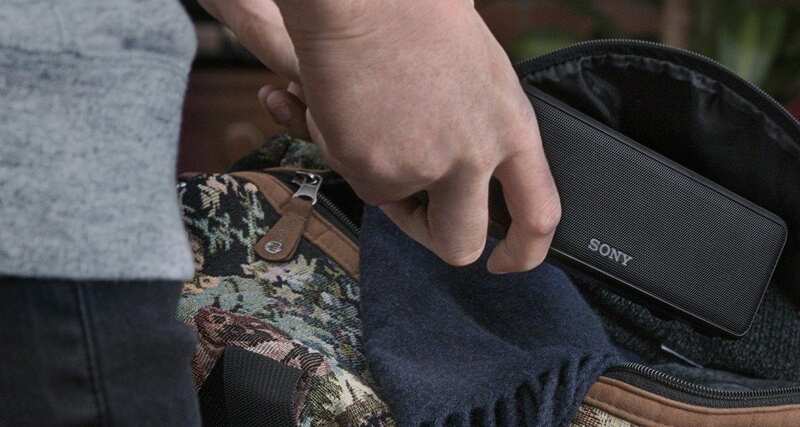 You can check out Sony’s landing page to see all the features. I’ve been on the lookout for a quality wireless speaker with Google Cast and a reasonable price tag for some time now, and I’m hoping that Sony will deliver well on this. I’ve had a listen in the store and will be making the purchase now that I’ve done a bit of research on my own. I enjoyed the sound and size of the speaker and look forward to getting it in the office very soon to take a look at. Another great quality of these types of speakers is the ability to sync audio throughout your home or office. With speakers costing hundreds of dollars, getting more than one seemed like a bit of a stretch for most people. With a sub-$200 choice, whole-home or whole-office audio becomes more of a reality. I really think this speaker could be a great device for many of you out there that enjoy the simply quality of Chromecast Audio.